Design : Made in Panchdhatu and deep etching on a Thick Sheet . 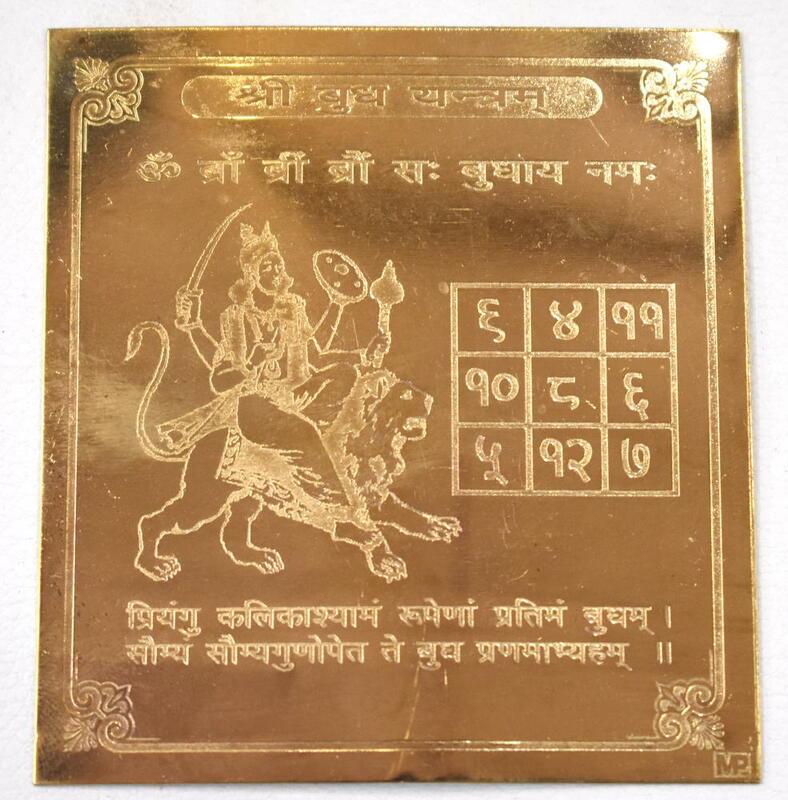 This yantra is dedicated to planet mercury . 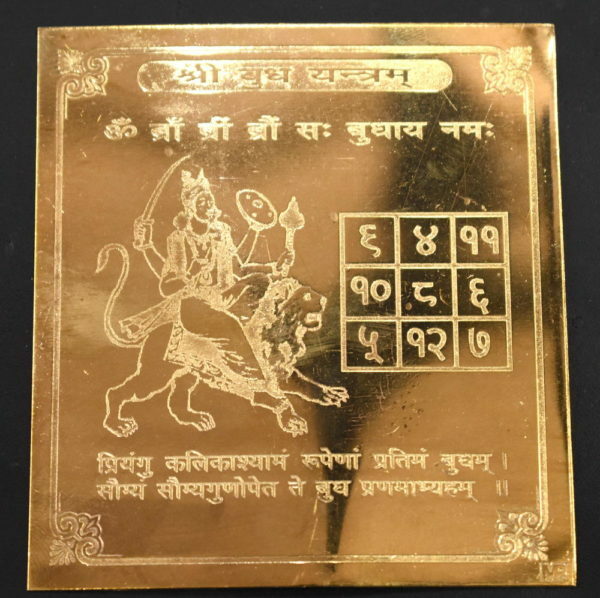 Buddh Yantra is worshipped for enhancing communication skills , intelligence and knowledge . This yantra helps pacify the malefic of the planet and radiate it’s beneficial powers . Helps enhance creativity , intelligence and communication skills . Removes hurdles and brings success in carrer and business . Improves Speculation and decision making skills . Yantra Energizes the location where it is installed . You can place it near the entrance of your home / office / shop or in your living room or reception or study room . You May also kept the yantra on your worship altar . 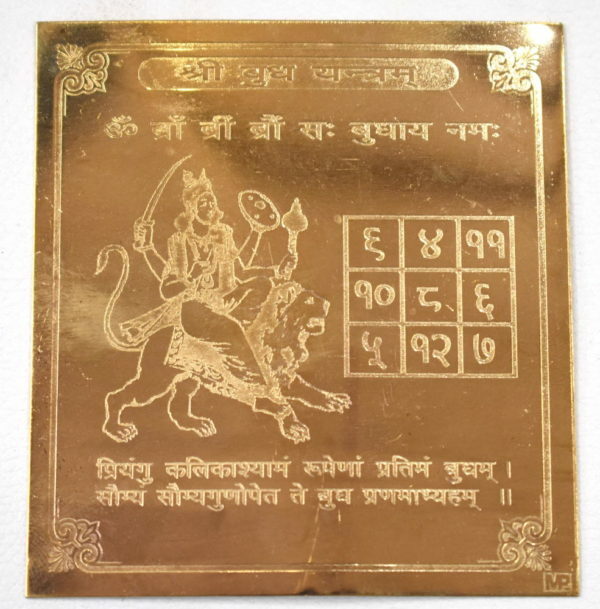 Yantra is best placed in the East direction facing west . It gets energised by the risings rays of the sun and with the divine vibrations of the east corner and provides positive transformation energies to the dwelling through its mystical geometry .